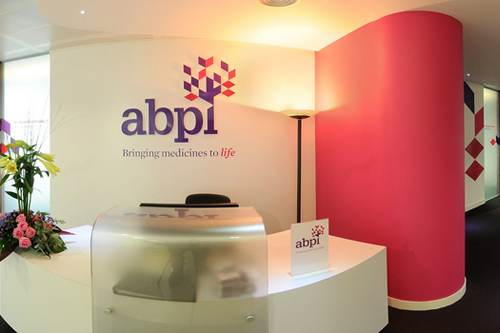 The Association of the British Pharmaceutical Industry (ABPI) has been refused a legal challenge to a cap on the cost of new drugs. It has accepted defeat – but it will leave a bitter taste for the sector as Brexit approaches. Here’s an extensively updated version of this morning’s article, including the news that the ABPI won’t appeal against the court decision. The ruling is an embarrassing blow to the UK pharma trade body, and means NHS England’s right to increase budget controls won’t be tested in court. In an update to the news which broke yesterday, the ABPI has now announced that it won’t appeal against the decision. This was the result of a unanimous vote of its board, which is made up of 15 representatives from leading UK pharma companies and chaired by Lisa Anson, AZ’s UK country president and ABPI president. The decision not to appeal draws a line under the legal action, but will leave the sector hugely dissatisfied with the UK government policy on funding for new medicines. Patient groups will also remain concerned, as the new rules are likely to see access to some new drugs restricted over the coming years. From 1 April this year, NHS England has had the power to launch price negotiations if a NICE-approved drug is expected to cost more than £20 million in any of its first three years on the market. No drugs have yet triggered this process, but the UK pharma trade body had hoped to quash the new rule via a judicial review, and applied for the legal procedure in July. However the presiding judge, the Honourable Justice Mrs Elisabeth Laing, ruled yesterday that the judicial review should not be granted. Broadly speaking, judicial reviews are granted based on two tests. Firstly, the person or body (NHS England and NICE in this case) is under a legal duty to act or make a decision in a certain way and is unlawfully refusing or failing to do so. Or secondly, a decision or action that has been taken is ‘beyond the powers’ of this person or organisation. If a judicial review concludes this is the case, a ‘public law wrong’ has occurred, and the body will have to re-think its policy. The ABPI was understood to be challenging the Budget Impact Test on the grounds that it broke two statutory rules allowing access to new medicines: an access-within-90-days rule following NICE approval, and a pledge in the NHS Constitution. NICE’s own analysis shows that around one in five new medicines will be affected by the new rule. 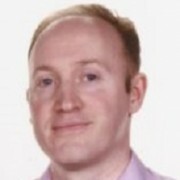 However, speaking to pharmaphorum in March, NICE’s chief executive Sir Andrew Dillon said the Test had been misunderstood. He said it could even be an opportunity to create a better ‘managed entry’ system for new medicines into the NHS. The ABPI was also challenging new rules in NICE appraisals of rare and ultra-rare drugs, which it believes to be ‘inappropriate and unworkable’. Last week, news emerged that NICE had strongly challenged the grounds for a judicial review, and called into question the impartiality of one of the ABPI’s key witnesses. While much of the focus has been about possible new treatments for cancer or cardiovascular disease being blocked or restricted, the new rules also tighten rules for NICE approval of rare and ultra-rare disease treatments. This is called the Highly Specialised Technologies (HST) appraisal, and now has a new ‘QALY modifier’ – which raises the bar for rare disease drugs to prove their cost effectiveness. A new range has been introduced of £100,000 up to £300,000 per QALY for highly specialised technologies which demonstrate greater than 10, to greater than 30, incremental QALYs, respectively. Pharmaceutical companies and patient organisations have been in no doubt the changes could further limit or delay access to drugs, especially for the most expensive drugs for ultra-rare conditions. Jayne Spink is chief executive of the Genetic Alliance UK, an umbrella alliance representing many different rare disease patient advocacy and support groups. “This decision does not change our view that NHS England’s and NICE’s decision-making processes for treatments for rare conditions are inadequate. The changes implemented in April for NICE’s systems are likely to have a chilling effect on access to treatments for the community we represent, and NHS England’s systems remain opaque in terms of methodology and timelines. The new HST system hasn’t yet been tested, but the first affects are likely to be seen by early 2018. The legal knock-back comes at a highly sensitive time for the industry, and will do nothing to make pharma leaders in global headquarters warm to the UK market. The Brexit vote is causing huge uncertainty and disruption for all of Europe, and the devaluation of the pound has wiped up to 15% off the value of UK pharma businesses. Pharma leaders are warning that they are running out of time to make preparations for the Brexit deadline of 31 March 2019. There is a real chance that pharma will move people and investment out of the UK and into the EU either before or after this date, merely to ensure business continuity and avoid possible new trade barriers and divergent legislation. Meanwhile, for its part, the legal ruling strengthens NHS England’s hand, as it has an almost-impossible task of balancing budgets (including specialist drug costs) in an acutely overstretched health service. Recent months have seen behind-closed-doors deals between NHS England and individual pharma companies, with the firms securing access for their drugs, but only after conceding major price cuts. Companies in the oncology market have also been persuaded to slash their prices (although details remain confidential here too) as NICE clears out its Cancer Drugs Fund ‘version 1’. Finally, today’s ABPI statement attempted to move on from the grave disappointment of the judicial review, saying it was optimistic about the Life Sciences Industrial Strategy document published in August. However, while this is sets out a bold and ambitious vision for the sector, it only represents a pharma industry wish list so far, and the government haven’t yet pledged to meet any of its targets. Despite all of that, the UK remains an important global market, and the government hopes a strong science base and good R&D and tax incentives will keep the sector growing – but that will also depend on the long-term confidence and buy-in from pharma.